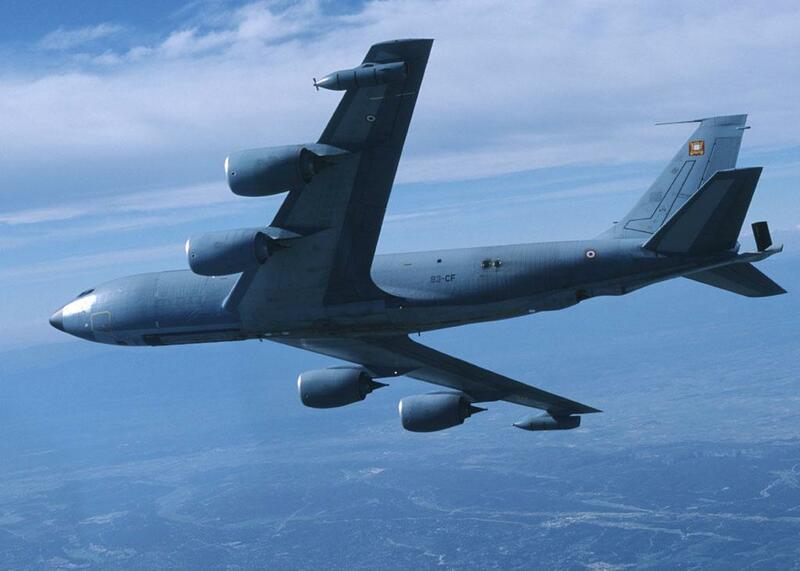 The KC-135 is an American tank airplane for airborne refueling of other aircraft. 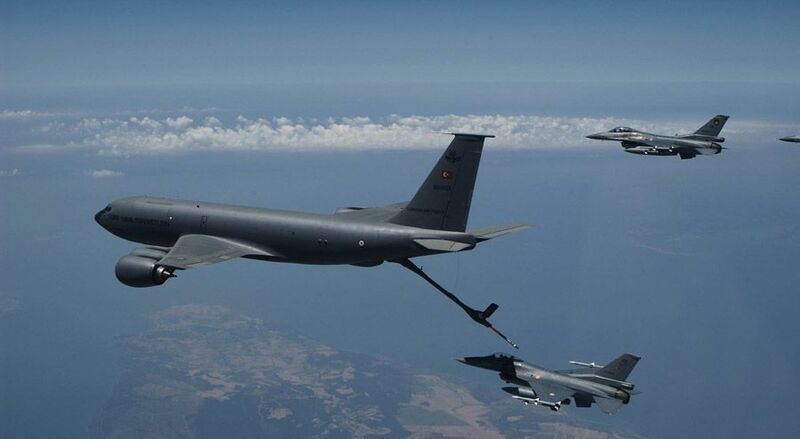 According to official sources the United States Air Force has 457 KC-135 Stratotankers, the Air National Guard 30 and the Air National Reserve 130. For missions in Iraq and Afghanistan, KC-135 aircraft are stationed on airfields like Manas in Kyrgyzstan and Al Udeid AFB in the desert of Qatar. KC-135 Stratotankers are also permanent stationed on Geilenkirchen AFB, Germany (near the border of The Netherlands) as part of the United States Air Force Europe (USAFE). There, the stratotankers are used to refuel the NATO AWACS airplanes which are also stationed at Geilenkirchen. 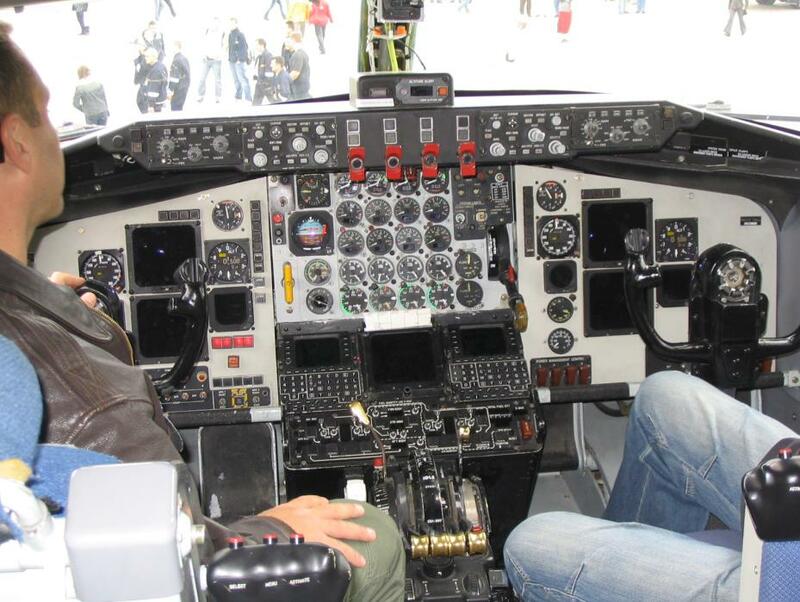 Some modifications concerning the avionics and cockpit included a improved multiplex data bus and integrated software, integrated global positioning system, avoidance surfacethreat systems and improved navigation systems. The controls get multiple electronic function displays and a central control panel. 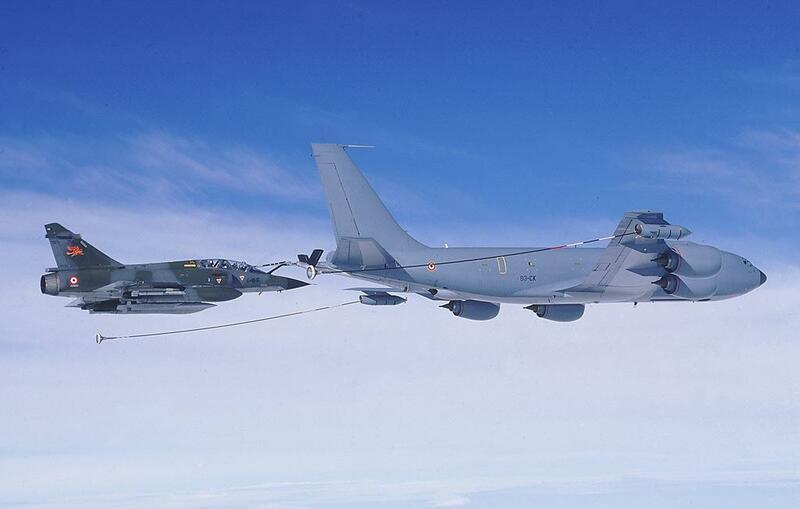 As cargo airplane it is less useful but with 457 airplanes it is very useful to refuel bombers, fighter jets, cargo planes and reconnaissance aircraft. It can also refuel aircraft from the US Navy, US Marines and allied countries. Because the KC-135 is already in service since 1965 it is essential that they'll get updates to stay in service for some years. 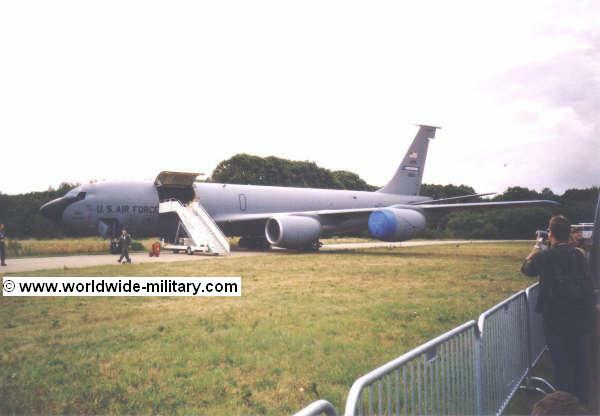 However the KC-135 will be replaced in a few years. 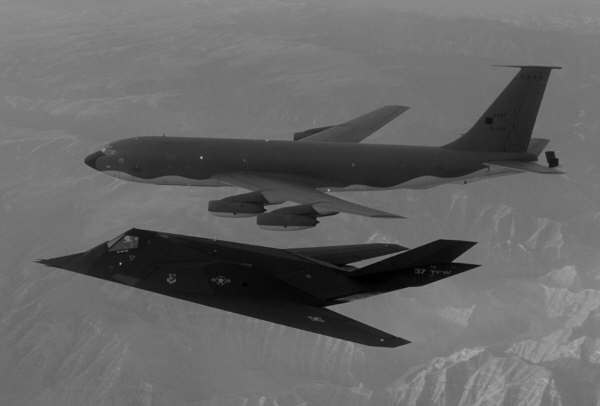 Once the USAF wanted to replace them by European airplanes from Airbus but the US Government did no tolerated. 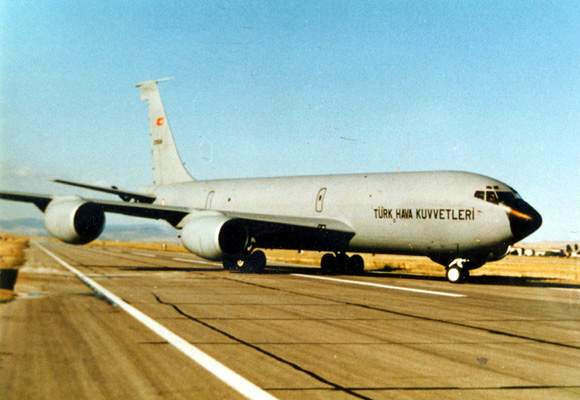 The KC-135 is also in service with the air forces of: France (14 aircraft), Turkey (7 aircraft), Singapore (4 aircraft) and Chile (3 aircraft).